There’s a certain irony that just after the release of Al Green’s third album, 1971s Al Green Get’s Next To You, critics thought that his career was in decline. Al Green Get’s Next To You, his second album for Hi Records, stalled at a disappointing number fifty-eight in the US Billboard 200 Charts and number fifteen in the US R&B Charts. Given Al’s debut for Hi Records, Green Is Blues had reached number nineteen in the US Billboard 200 and number three in the US R&B Charts, critics wondered if Al Green’s career was over before it had began. How wrong they were. What followed was a run of unmatched commercial success and critical acclaim. Between January 1971, when Al released Let’s Stay Together and Al Green Explores Your Mind in October 1974, Al released five albums. Four of these were certified gold and the other was certified gold. Al also enjoyed a run of six consecutive number one US R&B albums. The album that marked a run of critically acclaimed and commercially successful music was a stonewall Southern Soul classic, Let’s Stay Together which was recently released on vinyl by Fat Possom Records, and which I’ll tell you about. For Let’s Stay Together, nine tracks were chosen. Al wrote five tracks, including So You’re Leaving, What Is This Feeling, Old Time Lovin,’ Judy and It Ain’t No Fun To Me. He cowrote La-La For You with producer Willie Mitchell. The pair also cowrote the title-track For Let’s Stay Together, with Al Jackson Jr, the legendary drummer and founding member of Booker T. and The MGs. Little did they know, that they’d just penned their pension plan. Three other legends of Stax Records and Southern Soul Eddie Floyd, Al Bell and Booker T. Jones cowrote I’ve Never Found A Girl. Along with a cover of Barry and Robin Gibb’s How Do You Mend A Broken Heart, Let’s Stay Together on paper, was an album oozing with quality. Was that the case? Producer Willie Mitchell brought in his A-Team for recording of Let’s Stay Together at Royal Recording Studios, Memphis. The rhythm section included guitarist Teenie Hodge, bassist Leroy Holdge plus drummer Howard Grimes and Al Jackson Jr. Charles Holdges played organ and piano, while The Memphis Horns joined legendary backing vocalists Donna Rhodes, Charles Chalmers and Sandra Rhodes. As Rhodes, Chalmers, Rhodes, their sprinkling of musical magic was the finishing touch to what would become not just a classic album, but the most successful album of Al Green’s career. Once Let’s Stay Together was recorded, it was up to Terry Manning to work his magic. He mixed Let’s Stay Together at Old Ardent Studios. Terry played his part in what was for a game-changing album for Al Green, Let’s Stay Together. Opening Let’s Stay Together is the title track Let’s Stay Together, a single that sold over two million copies. It only takes one listen to realise why it’s regarded as one of the best songs of all time. track. As the Memphis Horns rasp and bray, Al’s vocals a whispery, needy vamp. Straight away, you’re hooked. His vocal is smooth yet strong, and the way he delivers the song, it’s as if he means every word. Sincere describes his pleading, heartfelt vocal. This is vintage Al Green. As for Rhodes, Chalmers and Rhodes, they add cooing, caressing harmonies. They’re subtle, a perfect foil for Al’s voice. The rhythm section’s contribution is equally important. They provide the song’s heartbeat, and along with The Memphis Horns, played their part in what was the greatest song Al Green had recorded. Whether he ever bettered Let’s Stay Together is debatable? After starting Let’s Stay Together with a classic, how do you follow it? What Willie Mitchell did, was put a very different sounding track next on the album. La-La For You has a very dramatic, pensive opening. The Memphis Horns, Charles Hodges’ piano and rhythm section set the scene, dropping the tempo. When Al sings, his vocal’s different. He sings the song slow, real slow, leaving space within the song that has the effect of increasing the drama and tension. His vocal is heartfelt, dramatic. He sounds insecure, as he pleads, delivering he songs beautiful lyrics. Soulful, gospel-tinged and with a masterclass from some of Memphis’ greatest musicians, it’s heartfelt and passionate song, delivered emotionally by Al Green. The Memphis Horns and the rhythm section provide a wistful backdrop as So You’re Leaving unfold. Having set the scene for Al, his vocal is best described as soul-baring. Veering between needy, heartbroken and frustrated, he sings to his lover that’s leaving him. In the song he attempts to get her to stay, even offering to marry her. He sometimes sounds defiant, but changes, and almost pleads, desperation not far away. Midway through the song, Al scats and vamps. Behind him, The Memphis Horns and the rhythm section deliver a masterclass. Their contributions play a huge part in the track’s success. Most important is Al’s vocal, as breathes, life and meaning into this tale of love gone wrong. What Is This Feeling sees The Memphis Horns set the scene agin. This time, they don’t sound so harsh. This suits Al’s vocal. His vocal is powerful and joyous, happiness etched deep in his voice. No wonder. he’s singing about being in love, and it’s obvious he’s glad to be in love. Rhodes, Chalmers and Rhodes backing vocals have an understated quality. They coo subtly in the background, never once threatening to overpower Al. The way the Memphis Horns play, their sound much sweeter, they too, sound pleased that Al’s in love. Their playing adds to the joyous sound on what’s one of Let’s Stay Together highlights. Old Time Lovin’ has an understated, melancholy sound. Just drums provide the heartbeat, before an atmospheric Hammond organ and growling horns envelop Al’s vocal. As the band keep tempo is slow and moody, Al’s vocal is sultry and seductive. This is Al at his best. His vocal is quieter, much softer. Sometimes he let’s go, his voice soaring, yet still singing within himself. His delivery of the lyrics is moving, you feel as if he means them. Willie Mitchell’s arrangement is perfect, the rhythm section and Memphis Horns combining masterfully, and the backing vocalists adding the finishing touches to a beautiful slice of the finest Southern soul. I’ve Never Found A Girl is a cover of Eddie Floyd’s 1968 hit. This is the first of two consecutive cover versions on Let’s Stay Together. The track starts brightly, the Memphis Horns playing as if announcing the introduction of Al Green. When Al sings, he continues the much more restrained delivery of Old Time Lovin’. Here, his voice sounds strong and confident, but when he sings, he again, sings well within himself. Instead, he leaves Rhodes, Chalmers and Rhodes to sing the louder parts, only really letting his voice briefly, soar, towards the end of the song. The interplay between Green and his backing vocalists is highly effective, and they’re allowed to demonstrate just how talented they are. Al isn’t afraid to let them shine, and they make a huge contribution towards the track’s success. How Can You Mend A Broken Heart is the second cover version on Let’s Stay Together. Written by Robin and Barry Gibb, it was later recorded by The Bee Gees song. This to me, is the definitive version, and will never be surpassed. Just an understated, meandering arrangement sees the guitar and drums combine. They’re then joined by a Hammond organ, moodily playing in the background. Even before Al’s softly sung vocal enters, the mood is set. The mood is sad, it’s a track that can’t fail to pull at your heartstrings. Al’s delivery is heartfelt, as if he recognises the emotions described in the lyrics. It’s one of his best vocal performances, and highlights how a softer, quieter and more restrained delivery can be much more moving. For six and a half spell binding minutes, you’re enthralled at Al’s heartfelt rendition this song. Let’s Stay Together closes with Ain’t No Fun For Me. It has a similar tempo to the previous track. The big difference is the song’s tougher edge. As the rhythm section provide the heartbeat, The Memphis Horns play, announcing the presence boldly. They rasp and growl, playing around Al’s vocal, and behind it. On this track, they’re playing is louder, which suits the arrangement. Al’s vocal is louder,stronger and sassier, unleashing a vamp, full of shrieks, and hollers. At times, his passion almost overflowing. There is nothing understated about this track. Not at all. Soulful, funky, sassy and bold, and its a perfect way to end Let’s Stay Together, the album that launched Al Green’s career. Although Let’s Stay Together was only Al Green’s fourth album, it’s a highly mature and polished album. From the opening bars of Let’s Stay Together, right through to the closing notes of Ain’t No Fun For Me, Al never lets the quality drop. He’s forever the consummate professional. On each track, he breathes life, meaning and emotion into the lyrics. Often, the lyrics Al sings, he wrote. Of the the nine tracks on Let’s Stay Together, Al Green wrote five and cowrote two, including the Magnus Opus that is, Let’s Stay Together. Despite that being a million selling single, there’s much more to the album than one song. Ironically, How Can You Mend A Broken Heart, one of two cover versions features one of Al’s most emotive and captivating performances. These are just two of nine reasons to discover or rediscover Let’s Stay Together, which was recently rereleased on vinyl by Fat Possom Records. It’s a welcome rerelease of a classic album. 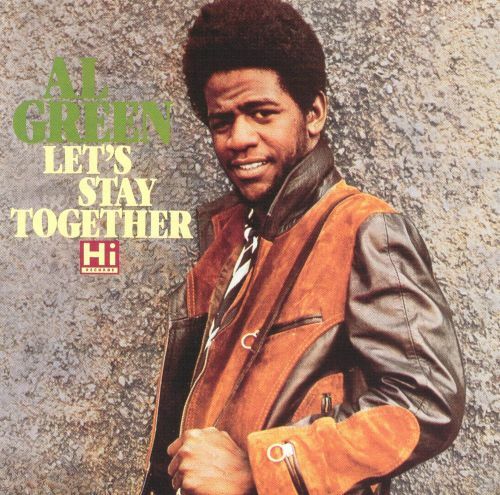 Not only is Let’s Stay Together a classic album, but an album that transformed Al Green’s career. if Let’s Stay Together had failed commercially, that might have been the end of his career. Thankfully, it wasn’t. Between January 1971, when Al released Let’s Stay Together and Al Green Explores Your Mind in October 1974, Al released five albums. Four of these were certified gold and the other was certified gold. Al also enjoyed a run of six consecutive number one US R&B albums. Al Green went on to become one of the most successful soul singers of the early-seventies. For a few years, Al Green was untouchable. Indeed, for six albums, Al Green could do no wrong. No wonder. Accompanying him were some of the greatest musicians and backing vocalists in the history of Southern Soul. Along with producer Willie Mitchell, they played their part in some of the greatest Southern Soul ever recorded. The album that started this run of commercial success and critical acclaim, is Let’s Stay Together, a stonewall classic that belongs in every record collection. Standout Tracks: Let’s Stay Together, Old Time Lovin’, How Can You Mend A Broken Heart and Ain’t No Fun For Me. ← HARTLEY AND WOLFE-BESPOKE FUTURE. Thanks for your comments. I’ve added that you mixed Let’s Stay Together. It’s one of my favourite albums released on Hi Records. The music is truly timeless. It must have been fantastic working with Willie Mitchell. I’m a huge fan of Hi Records and always fly the flag for their other artists. O.V. Wright, Ann Peebles, Otis Clay and Sly Johnson released some fantastic music. I’ve often saw your name on album covers. You’ve worked with so many of my favourite artists, including Booker T & The MGs, Led Zeppelin, Big Star, The Staple Sisters, James Taylor, The Beach Boys and David Bowie. What a career you’ve had. You must have a few tales to tell. If you every want to share your memories, I’d be delighted to write an article about your career. I’m really interested in the production and engineering aspect of music. Every month I pore over magazines like Sound On Sound, as I always like to hear how the music was made. Thanks for getting in touch. It was good to hear from you. Wow, thanks Derek! Most kind. I worked on most of those Hi artists, at least in the mixing stage, and it was always such an entertaining (and informative) blast to work with Willie, Teenie, Al Jr, and the rest of the Hi Guys! Sure, just email if you want to set up an interview! All the best. Thanks for getting back in touch. It would great to hear about your career. If it’s okay with you, I’ll send some questions for you to answer. Then I’ll write a lengthy article about your career. I’ll send the questions to you at the start of the week. Have a great weekend.